All birding–with the possible exception of fantasy birding–depends on movement. Either the birds come to you, you go to the birds, or you and the birds come to each other. During this time of year when migration is just beginning, think about where you might position yourself for optimal avian encounters. Then place yourself there and prepare for good things to come your way. I’ll be positioning myself on the Braddock Bay Hawk Watch platform when I can this weekend. Even this early in the season, watchers have been rewarded with some tasty species. 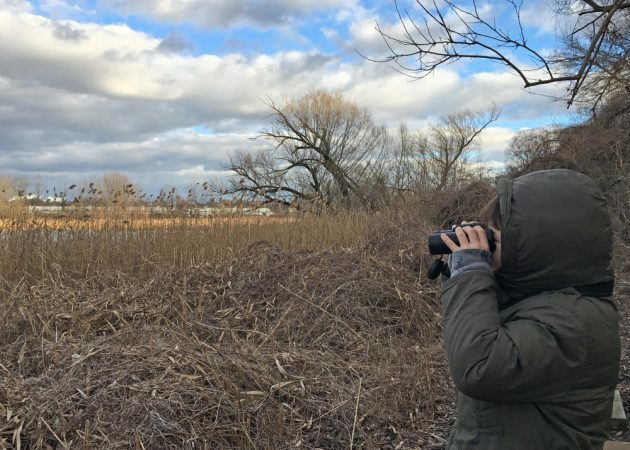 Corey kicks off this first Queens Botanical Garden bird walk this weekend. If you were hoping to drop in, sign up for the next one, because this weekend is sold out!